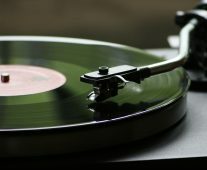 Swiss and Belgian chocolates are the most famous chocolates in the word, and everyone has her own favorites for one or the other. While Belgium is usually associated with dark chocolates, the Swiss are best-known for their milk chocolates. Read on for our selection of the best Swiss chocolates you can buy online. Best known for their round chocolate truffles with decadent centers, Lindt has been making chocolate confections since 1845! Their gourmet confections are varied, widely available, and best of all, made with affordable Swiss chocolate! 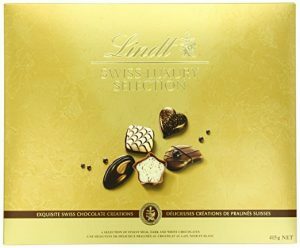 The Lindt Swiss Luxury Selection Boxed Chocolate is the ultimate gift for the Swiss chocolate lover! This deliciously decorated box contains a selection of forty Lindt chocolates including white chocolate, milk chocolate, and dark chocolate. Flavors and succulent centers in this box include hazelnut, orange, cookies and cream, and caramel. 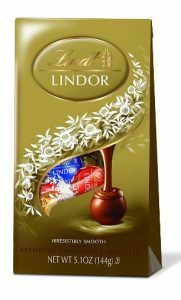 The Lindt Lindor assorted chocolate truffles are the most widely recognized product produced by Lindt to date. These smooth filled chocolate truffles are available in a wide variety of flavors and cater to Swiss chocolate lovers worldwide! Whether your favorite chocolate fan likes dark chocolate, milk chocolate, or white chocolate, these sweet morsels are the perfect treat. If you are looking for the ultimate gift for the lover of Swiss chocolate brands, this Lindt holiday selections gift basket is just what you need! The most amazing collection of Lindt Swiss chocolate, this basket includes a Lindt dessert chocolate selection, Lindor truffles, Lindt milk chocolate, multiple Lindt Excellence bars, Lindt fudge sauce, and classic Swiss chocolate bars! The beginnings of Toblerone were in the building of the Tobler factory in 1899. It wasn’t until 1908, however, that the Toblerone as we know it was created! Of all Swiss chocolate brands, Toblerone is perhaps one of the most recognized and beloved worldwide. Nine traditional Toblerones made with milk chocolate, honey, and almond nougat are stacked into a pyramid in this unique chocolate treat! 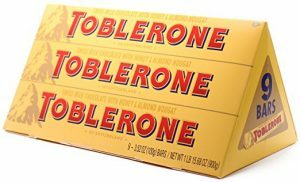 Perfect for special occasions, stocking stuffers, or just the true Toblerone lover, this is one gift that no one could turn down. Each sweet, uniquely shaped milk chocolate treat features the classic smooth flavor of Tobler chocolate and plenty of chewy almond nougat pieces! Not as well recognized as the traditional milk chocolate Toblerone, the dark chocolate Toblerone is a newer addition to this Swiss chocolate brand’s lineup! Smooth dark chocolate peaks are punctuated with the sweetness of honey and, of course, the trademark almond nougat pieces. If you prefer a darker, slightly more bitter chocolate treat, then the dark Toblerone might be the right choice for you. Another (somewhat predictable) addition to the Toblerone lineup is the white chocolate Toblerone. Much sweeter than the milk or dark chocolate incarnations of this pyramidal treat, the white chocolate Toblerone is something different for the white chocolate lover. The traditional honey and almond nougat take their usual place in this Swiss chocolate brand’s iconic kosher treat creating a familiar flavor profile with a twist. Laderach has been known in Swiss chocolate circles since 1962 when they first started producing hand-made confections. Although the Laderach Swiss chocolate brand can be quite difficult to find for chocolate lovers everywhere, their newer Heidi products are not. Heidi offers the quality of Laderach with wider availability and a more affordable price tag! 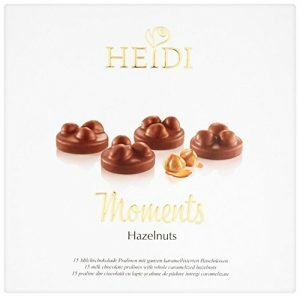 Heidi hazelnut moments are unique somewhat fragile looking chocolate treats. Made from whole caramelized hazelnuts dipped in gianduja cream and coated with milk chocolate, these light treats are elegant enough for any dinner party. An added benefit of the Heidi Swiss chocolate brand is that a single box can be purchased for under $10 – a steal for such a quality chocolate confection! Heidi isn’t only known for their chocolate treats, however, as seen in these signature dark chocolate covered cookies! From Heidi’s signature dark chocolate to the delicious peppermint cream filled cookies inside, these luxurious cookies are perfect for that mid-morning pick-me-up. Plus, with eighteen cookies to a box, there are more than enough if you want to go back for “seconds”. A little more unusual, the Heidi Delight Relaxing Mango chocolate bar adds a light and fruity touch to the sugary sweetness of milk chocolate. The flavor of ripe mango is combined with a biscuit crumb filling in this smooth but not sickly sweet chocolate bar. If you prefer a lighter, more fruity note to your Swiss chocolate brands, then this is the right pick for you! 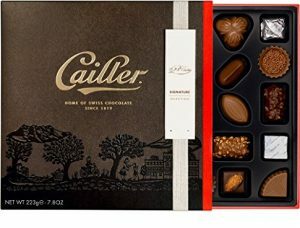 Known for being Switzerland’s oldest chocolate brand, Cailler has been a popular chocolate brand for more than a century. Known for using sustainable cocoa, carefully selected ingredients, and only fresh milk from local dairies, it’s no wonder that this is one of the most celebrated Swiss chocolate brands! If you have never sampled Cailler chocolate before, the Cailler chocolate signature selection is the best of the best. A delicious selection of twenty-five chocolates, this gift box has something for everyone. With dark and milk chocolate coatings, fillings include wafer, praline, and caramel. 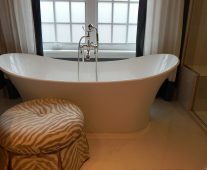 Not looking for anything too adventurous or too overindulgent? Give the Cailler L’Ecorce milk chocolate bar a try instead. This smooth milk chocolate bar has the creamy texture that only the best Swiss chocolate brands can offer and a smooth and satisfying flavor profile. 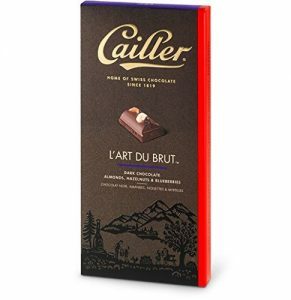 If milk chocolate isn’t your thing, the Cailler L’Art du Brut dark chocolate bar with whole almonds, hazelnuts and blueberries might better suit your fancy. The tempered sweetness of high-quality dark chocolate meshes together well with the crunch of fresh hazelnuts and almonds and the fruity highlight of blueberries. Ideal for dark chocolate fans who like a little something more, the L’Art du Brut is a must try! 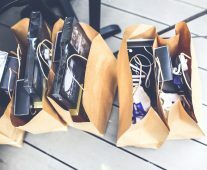 Founded in 1887, Frey is not as well-known of a Swiss chocolate brand as some others, but with more than 396 million Swiss Francs in income a year, there is no doubt that this is a well-loved brand! The Sweetworks Frey Crunchy Nuts bar is packed full of fresh and delicious ingredients. Whole hazelnuts culminate with caramelized hazelnut pieces and sweet milk chocolate, to create a harmonious sweet and indulgent confection. Ideal for those chocolate lovers who like a little more texture to their sweets, this is a premium chocolate bar that everyone should try at least once! If you are looking for a lighter flavor to your chocolate confections, the Sweetworks Orange Frey Chocobloc bar is it. A sweet fine milk chocolate is combined with the fresh citrus flavor of orange and balanced well with the crunch of almond honey nougat. Similar to the Toblerone in texture, this lighter flavor profile is perfect for the more sophisticated palate. Frey doesn’t always combine their chocolate with texture or complimentary flavor highlights. These milk and dark miniature chocolate bars are simplicity and quality rolled into one. 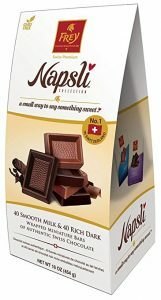 The smooth milk chocolate combined with the subtle bitterness of the Napsli dark chocolate creates a delicious balance of light and dark from a Swiss chocolate brand you can count on for quality! This easily recognized purple wrapped chocolate brand has been on the market for more than one hundred years. Every single chocolate product produced by this best Swiss chocolate brand is made with 100% alpine milk which brings a unique smoothness to both flavor and texture. 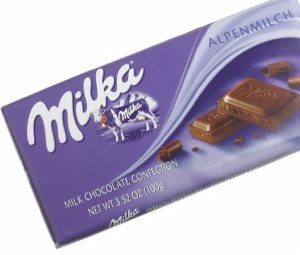 A common favorite among lovers of this Swiss chocolate brand, the Milka Alpine milk chocolate bar is simple yet satisfying. The creamy flavor of Alpine milk combined with smooth milk chocolate makes this milk chocolate bar a favorite of all age groups. Even dark chocolate lovers have been known to enjoy the sweet flavor of Milka milk chocolate! 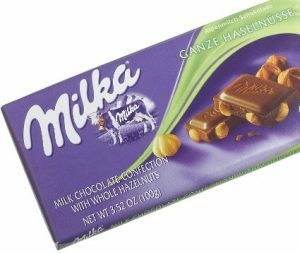 The Milka milk chocolate with whole hazelnuts bar offers the smooth sweetness of the Alpine milk chocolate mentioned above and the crunch of fresh hazelnuts. Packed with plenty of whole hazelnuts, the fresh but somewhat woody flavor of this chocolate bar is one that any nut-fan should try. Although best known for their milk chocolate flavor, Milka also offers a smooth white chocolate bar that is to die for. Any white chocolate lover will tell you that when it comes to the best Swiss brands you can buy online, Milka is a must for your white chocolate. This rich but smooth chocolate bar can be overpoweringly sweet for dark chocolate lovers, but milk chocolate lovers, as well as white chocolate fans, like to indulge in this one! The Swiss chocolate brands noted above are just a sampling of some of the more popular varieties of Swiss chocolate on the market today. There are many more Swiss chocolate brands to consider, however, including Ragusa, Villars, Munz, Teuscher, Suchard, and Gottlieber. If you can’t visit Switzerland, ordering online is the next best thing!